NOTE: Preregistration ends at Noon Wednesday before the event! 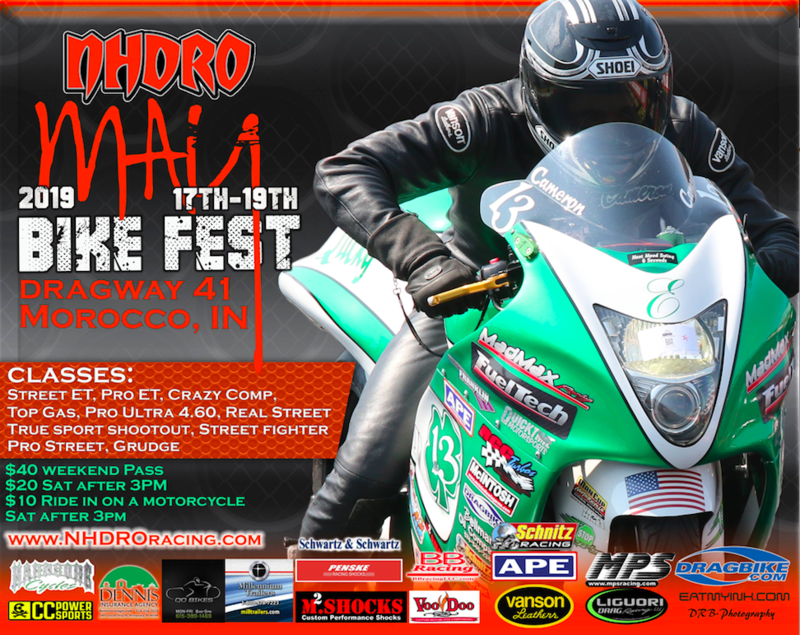 NHDRO is committed to offering racers and fans an action packed three-day weekend full of fast bikes, good fun and lots of excitement. 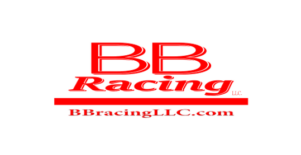 NHDRO is a NHRA Alternative Sanctioning Organization (ASO) and we offer drag bike racers a positive venue to display their talents and their machines. The 2019 Midwest series will continue in similar fashion as in the previous nine years. NHDRO offers many drag bike classes including Street ET, Pro ET, Street Fighter, Crazy Comp, Top Gas, True Sport Shootout (63″), Pro Ultra 4.60, Real Street & Pro Street. We are known for “GRUDGE” Racing featured on Saturday Night which allows TRUE GRUDGE RACING, our famous scooter race and kids race. Brian and Niki look forward to welcoming the NHDRO family of racers and sponsors and cannot wait to GO FAST OR GO HOME with you in 2019!